Now that the tabs were "complete", it was time to lock the LMGA tubes in place. This is done by floxing the tube in place and then laying two plies BID (at 45 degree bias) over the tubes and onto the strut and inside walls of the tabs. 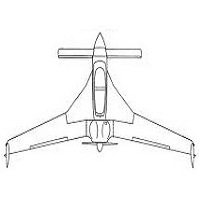 Since the aft portion of the fuselage tapers in, the LMGA tubes are not exactly parallel to each other. This means that the forward and aft location of the tube with respect to the strut is very critical. If the tubes are installed slightly forward, it will cause the distance between the two tubes to open up - and vice versa. The plans has you install a 'reference' marker as shown in the picture below; however, not trusting this method, I came up with my own method. Whenever you want something to line up perfectly, there is no better way (in my opinion) than to tack it in place while it is in the actual place you want it in (like match drilling). 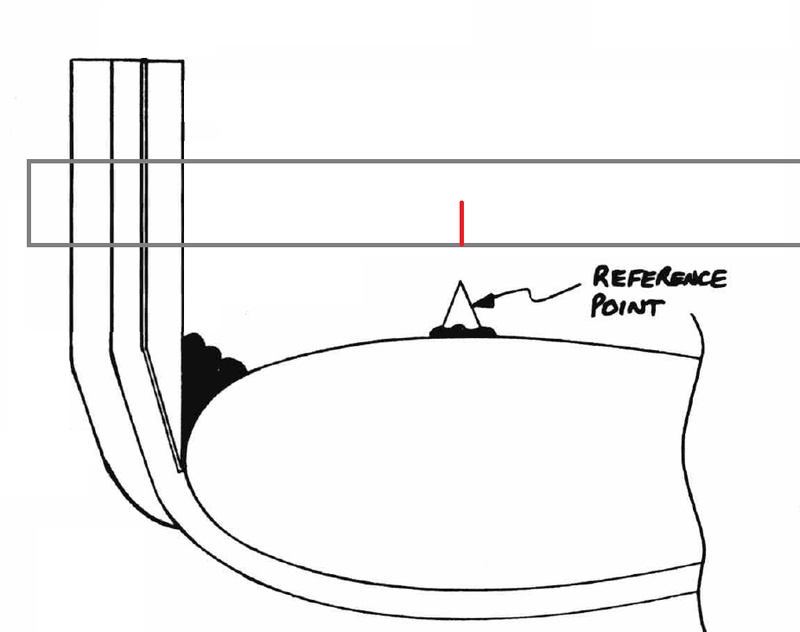 Using a reference system as the plans indicate introduces tolerance error. So I got rid of the whole 'reference point' system and simply reinstalled the strut onto the fuselage. Once everything fit in place, I used flox to tack the LMGA tubes to the strut. I was only able to apply flox from the inside - but that's ok. All I wanted was to make sure the LMGA tubes would not slide forward or aft after the flox cured. After the flox cured, I uninstalled the strut - the LMGA tubes were locked in place exactly where they needed to be. Notice how the flox had oozed out to the sides a bit - that's ok, a little dremel action and all was well. I should also note I drilled 4 small holes through each LMGA tube as stated in the plans - this is to help the BID layup that will go on top bond to the surface - the plans say to drill 10, but since these tubes were knurled, I figured they have plenty of bonding surface. I prepped my bench to prepreg and applied a thick flox fillet all around the LMGA tube. Notice how I left the through bolt on and applied duct tape to the ends to protect them from getting epoxied on. I intentionally left the through bolt on to keep any resin or flox from getting inside of the tube. I then painted plain epoxy on all surfaces that would mate with the prepreg - including the inside walls of the tabs, the tube (being careful not to shove epoxy into the small holes), and onto the strut itself. That's a nice looking LMGA/tab assembly! Fits like a glove! The LMGA tubes aligned with the brackets perfectly! I had no trouble inserting the bolts through..
Notice the gap between the tab and the bracket... this later gets filled with spacers and flox as stated in CP#48 (LPC#128). Same here - Notice the gap between the tab and the bracket... this later gets filled with spacers and flox as stated in CP#48 (LPC#128). With the strut installed, I thought it was time to have a little fun... so I set the strut tips onto 2x4 pucks and let my girlfriend and Livie go for a test flight! Woooooooo-hoooooooooooo!!!!! The main landing gear strut held our weight!!!! But wait! We're not finished with the tabs just yet. It was now time to install the AN960-1016 washers on the outside of the tabs and apply 2 BID plies over them. I removed the strut from the fuselage and sanded the tabs dull. Here are the AN960-1016 washers... the plans wrongfully call out AN960-1018 but was updated in CP#30, LPC#83. I then pressed the washer on, causing the excess flox to ooze out (this will provide a perfect transition from washer to tab when the prepreg is laid over it). Before prepregging, I painted plain epoxy onto the mating surface, including the washer. I then prepregged 2 plies of BID. I used a blade to cut a 5/8" sliver to allow the LMGA tube to pass through. Presto! I used a mixing stick to tuck the fiberglass around the LMGA tube and onto the washer and onto the strut tab. I repeated this for the remaining 3 outside tabs. That's a nice looking tab!!! The tabs are finally complete!!!! IMPORTANT NOTE - when the strut is permanatly installed onto the fuselage, the gap between the strut tabs and the main landing gear brackets on the fuselage get filled with flox as indicated in CP#48, LPC #128. Looks great. How is the leg room in the back seat? Bart - I already replied to your email but I'll answer the question here just in case others are curious. I'm 6'0" and I fit in the back just fine - granted I'm forced to be in a 'go-cart' like position. The pilot's seat back makes it impossible to stretch my legs fully. I've seen other builders make a mod to the pilot's seat where they cutout small recesses on the sides so that the passenger can fit the tip of his or her toes inside, giving them an extra 2 or 3 inches of leg room - sort of like a tandem kayak concept. Notice in the picture above that Elle is sitting with Livie (our dog) in her lap - so there is a bit of lap space; although I doubt anyone would want to be in the back any longer than an hour or two. "although I doubt anyone would want to be in the back any longer than an hour or two." My wife (5'5") was not happy to read that... can you elaborate on the problem with the back seat? The passenger can't stretch his or her legs all the way - since the pilot's seat is only a few feet forward. People have gone around the world with the Long-EZ... spending more than 9+ hours a day in it - I suppose it all depends on how much you can tolerate. I wouldn't want to take a long road trip if I knew I was going to be sitting in the back of a 2-door Honda civic- but that's just me. If you're serious about building one, try getting in touch with a Long-EZ owner and asking for a ride or even to sit in it. Most canard owners will be more than happy to help!